Chesapeake is part of the Hampton Roads metro area of Virginia, and nurses in the area make up almost one quarter of the state’s total nursing population. The nursing schools and employers in the area are thus significant players in Virginia’s healthcare field. There are a wide range of local nursing programs available to suit different learning styles and career goals. Those who are just entering the nursing profession may seek a certified nursing assistant (CNA) program. Many community colleges offer a CNA certificate, which only takes a few weeks to complete. A licensed practical nursing (LPN) program is more intensive. LPN certificates require 12 to 18 months to complete, and they prepare students to conduct a range of hands-on medical procedures. Aspiring nurses with significant time and financial resources may instead pursue an associate’s degree in nursing (ADN) or a bachelor of science in nursing (BSN). Both pathways prepare students for licensure as a registered nurse (RN). 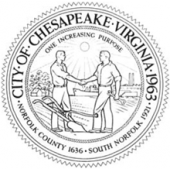 All three nursing roles are available in Chesapeake, where there are major healthcare employers such as Chesapeake General Hospital and Chesapeake Regional Medical Center. In the greater Hampton Roads metro area, certified nursing assistants earn an average of $22,900 per year, while licensed practical nurses can expect to receive about $37,400 annually. The area’s registered nurses do particularly well, earning in excess of $60,000 per year. There are several educational programs in the Chesapeake area to set you on course for these careers. For example, Chesapeake Center for Science and Technology offers a state-approved LPN certificate program, and Sentara College of Health Sciences provides a four-year prelicensure BSN program. There are a wide variety of additional nursing programs in the greater Hampton Roads metro area, and indeed all across the state of Virginia. If you are an aspiring nurse in Chesapeake, please feel free to consult our list below of the city’s accredited nursing schools and programs.